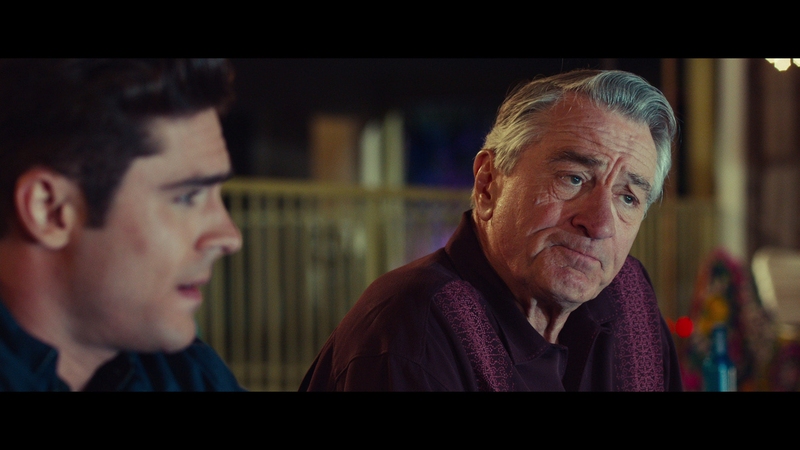 In terms of framing and narrative devices, Dirty Grandpa is an awful film. It has the thinnest of reasons to exist, the crudest methodologies, and a litany of eye-rolling romantic comedy cliches. Zac Effron demeans himself and two-time Oscar winner Robert De Niro sticks his thumb… places multiple times. Oddly, Dirty Grandpa exhibits a surreal quality, dressing itself with such passion for vulgarity, it’s hard to look away. Writing newcomer John Phillips pens a script which exists solely to one-up all others in sexual deviancy. Merely filming certain scenes may have legally constituted underage molestation. Having Robert De Niro as the antagonist? It’s uncomfortably hypnotic. Dirty Grandpa marries the generational road trip (think Seth Rogen’s insufferable Guilt Trip) plus Effron’s pandering romantic flings (The Lucky One) – and finds the means to mesh the two. Hollywood (and life) will find a way. De Niro’s impressively horny 70-something destroys and perverts the stable life of his grandson’s law career in only a three-day span. In that time, Dirty Grandpa finds any means to expose the pairing to ludicrous stunts and non-PC humor. Some of it works. Other times, the script feels desperate. 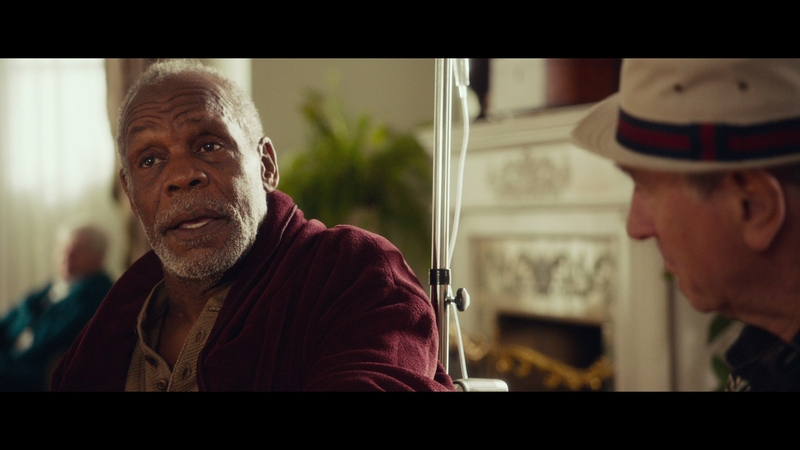 The climactic chapter is a total dud, even after Dirty Grandpa tries to prepare audiences with random indoor gunshots and other out of control circumstances. Final moments are remarkably sedate after nearly killing half of Florida’s drivers. 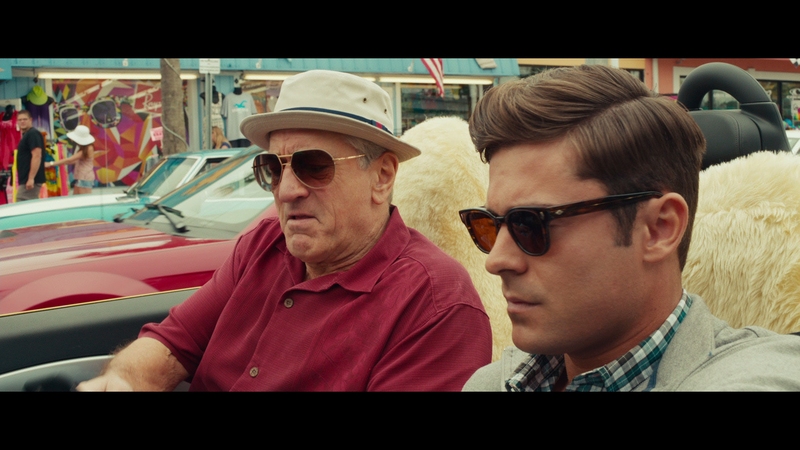 Effron and De Niro never mesh as family, partly intentional, partly that Dirty Grandpa never cares. Being swept away in a pile of sometimes on, sometimes off (but always off-color) humor is meant to reduce any misgivings. This would require ample comedic muscle but the “cursing senior” routine doesn’t have consistent bite. While shot digitally, many scenes are grafted with faux grain. The encode doesn’t suffer, although the choice remains odd since the effect adds little or nothing to the end result. Post production tinkering leaves the production feeling digital anyway, with bloated contrast and excessive warmth which robs flesh tones of their natural hues. It’s not only the beach tans either. Despite the bleaching contrast, black levels take an instantaneous hit. Early scenes are washed out and gray, robbing images of depth. A majority of scenes composed in low light showcase this dimming effect. Problems noted, Dirty Grandpa still hosts exceptional detail. Cinematography isn’t adventurous, leading to plain if fidelity-rich images. Close-ups are keen to utilize the full breadth of resolution. Medium shots maintain their natural appearance, and establishing shots play host to a slew of detail. 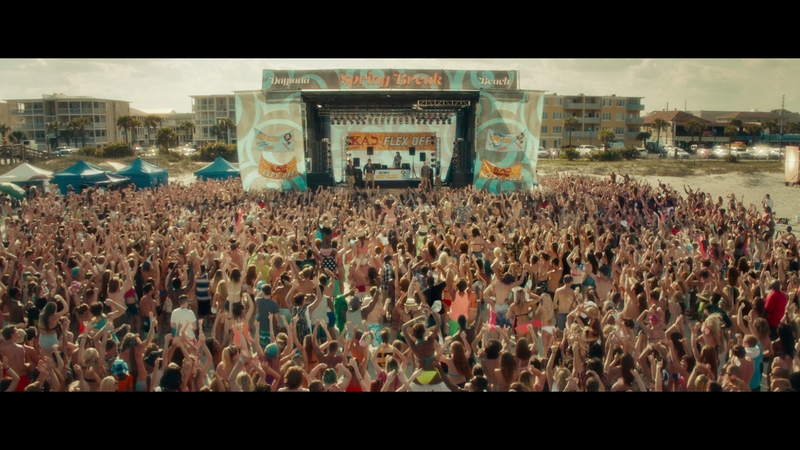 Those who need a jolt can skip to the Spring Break flex-off scene where the dance music throbs in the low-end. Otherwise, the LFE is unnecessary. For a comedy, the mix matches to each location. Parties are active, city streets sound populated, and beaches may be overly filled. Dialog reaches into the stereos on occasion, adding a pleasing stretch away from the center. Until the finale delivers some action – and the surrounds step up to capture passing vehicles – Dirty Grandpa’s sound design remains rudimentary. The retail edition does contain an extended cut, but this review is based on a bonus-less rental edition. Robert De Niro sinks low in the surreal Dirty Grandpa, a comedy with vulgar moments strung together by the thinnest of stories.